One viable approach to halting the degeneration of Cambodia’s ersatz democracy is to engage in channels of dialogue at both national and international levels. At the national level, it is imperative to resume the culture of dialogue between the ruling CPP and the dissolved CNRP. Dialogue at the international level requires participation and coordination from key external players that have significant leverage over Cambodia’s political and economic landscape, such as the United States, the European Union and China. Other players like Australia, Japan and ASEAN are also important. 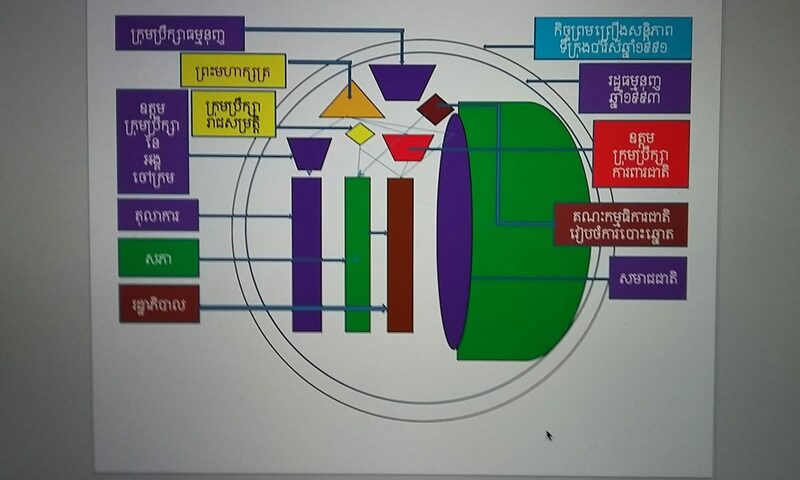 Through these channels of discussion and negotiation the course of Cambodia’s democracy, perceived by many as a drift towards autocratic rule, can be reversed. Although 19 smaller parties participated in the July 2018 national elections, commentators and observers questioned the credibility of the election. Some called it a sham. Prime Minister Hun Sen’s ruling Cambodian People’s Party (CPP) was unchallenged in the election, allowing the CPP to secure a predictable landslide victory. The party won all 125 parliamentary seats. Hun Sen’s recent political moves have not gone unnoticed. The United States has placed sanctions on high-ranking Cambodian government officials. The European Union has begun a formal procedure to withdraw its Everything But Arms (EBA) trade preferences. And the Australian and Japanese governments have raised concerns over the dissolution of the main opposition party. Now, as international pressure mounts, Cambodia’s political tensions seem to be easing. In December 2018 the Cambodian National Assembly amended the Law on Political Parties, paving the way for the 118 banned CNRP politicians to return to politics. It remains to be seen whether all CNRP officials will request political rehabilitation. So far, only two have. If this trend continues, a division within the opposition between supporters of acting CNRP President Sam Rainsy and former CNRP president Kem Sokha, who was arrested in 2017 prior to the party’s dissolution, may become more severe and lead to a split. Sam Rainsy, who lives in self-imposed exile, recently announced that he would return to Cambodia this year to fight for change and democracy. He even challenged Hun Sen to a bet over the likelihood of Kem Sokha’s release amid mounting international pressure. He faces imprisonment if he loses, but if he wins Hun Sen has agreed to step down from power. The high-stakes wager reflects the country’s political dysfunction and could result in a lose-lose situation for both prominent Cambodian political figures. Hun Sen may come under more criticism and Sam Rainsy could further damage his already compromised integrity if they fail to stick to the terms of their political wager. As it stands, it seems likely that Sam Rainsy will try to take advantage of the situation to return to Cambodia, resume his political career and put more pressure on Hun Sen’s government. The direction of Cambodia’s political development remains unclear amid talk of Sam Rainsy’s return and the possibility of senior CNRP officials returning to politics. Despite this uncertainty, Prime Minister Hun Sen and his ruling elites hold the key to relieving the political deadlock and putting the deteriorating democracy back on track. 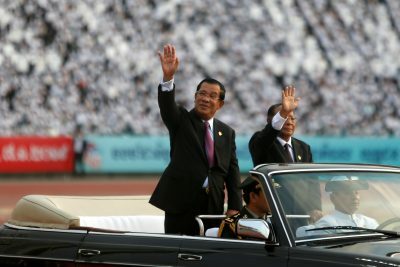 As the strongman of Cambodia, Hun Sen has been in power for more than 30 years. His success in ending the country’s four-decade-long civil war is one of his greatest achievements, though criticism of his accomplishments is not uncommon. Cambodia’s remarkable economic growth at about 7 per cent over the last 20 years has also earned him legitimacy. But this legitimacy is now under threat. National elections in 2013 and local elections in 2017 made it clear that Hun Sen and his party are no longer well received by the majority of Cambodians. Unless he commits to improving human rights and democracy and addressing pressing social issues in the country, his domestic legitimacy will further deteriorate. 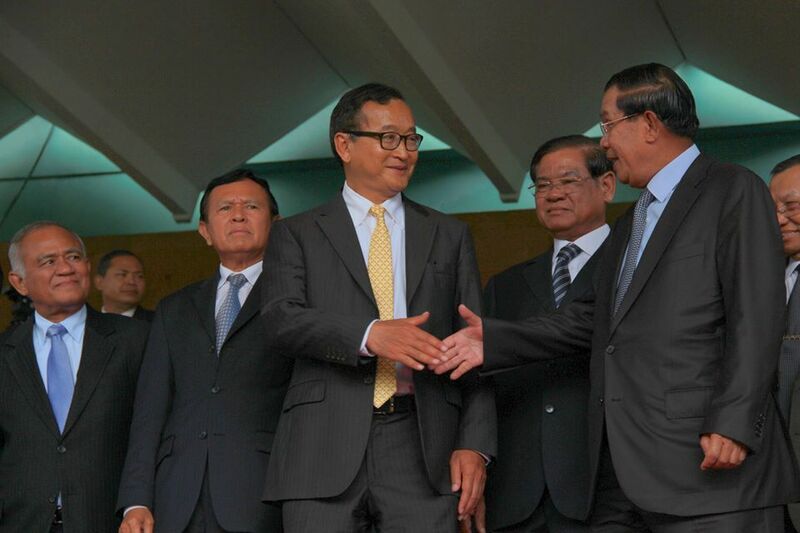 At present, Hun Sen’s government appears to face less pressure from within than without. But increasing external pressure could negatively affect Cambodia’s economic growth trajectory and exacerbate internal grievances. If Hun Sen cannot maintain the momentum of development and economic growth — key to the legitimacy of his government — his political dominance will probably be undermined, if not challenged. Reversing Cambodia’s descent into a one-party state is crucial for both the incumbent government and Cambodia at large. The process has to begin with political willingness, effective mechanisms, and firm internal and external pressure. External pressure may have some, but likely insignificant, effects on the Cambodian government. China’s support and a fear of losing power has given the ruling elites an obvious choice. They will aim to stay in power and do whatever possible to avoid regime change, or ‘maintain peace and stability’ — a phrase frequently used by CPP elites. Hun Sen and his team will look to China under mounting pressure from the West. Kimkong Heng is a doctoral candidate at the University of Queensland and an Australia Awards Scholar.